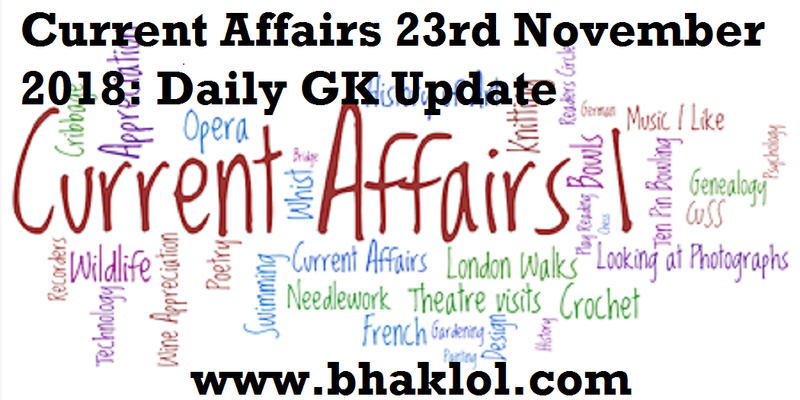 Dear Readers, We are sharing today's current affairs update in both hindi and english languages. 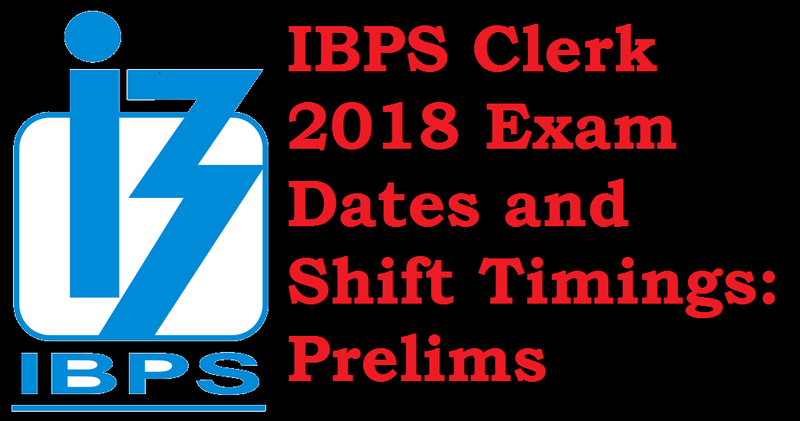 Today's events are very important for upcoming IBPS Clerk Mains 2018 Online Examination. SSC Stenographer Grade ‘C’ & ‘D’ Skill Test 2017 result has been declared now. Skill Tests were conducted by Regional Offices of the Commission. 3731 candidates (2290 English + 1441 Hindi) appeared in Stenographer Grade ‘C’ Skill Test and 6439 candidates (3955 English + 2484 Hindi) appeared in Stenographer Grade ‘D’ Skill Test. 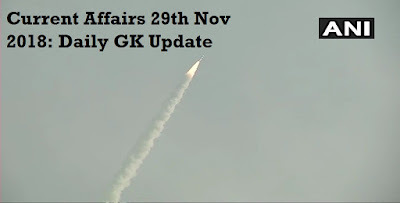 Dear Readers, We are sharing daily current affairs update of 28th November 2018, Wednesday in both English and Hindi Languages. 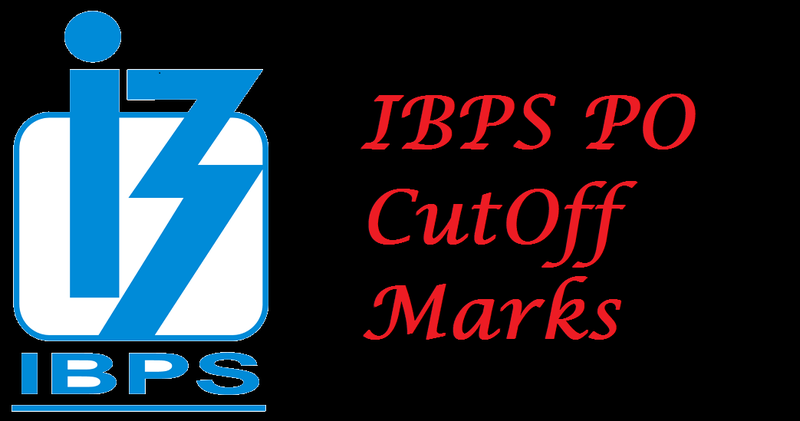 Its useful for upcoming IBPS Clerk Mains Online Examination as well as ongoing RRB Group D Exam. Admit Card of HSSC Sub Inspector(SI) 2018 Exam has been released now. We are sharing direct link to download HSSC SI 2018 Admit Card. We also sharing HSSC SI 2018 Exam Dates and Shift Timings. 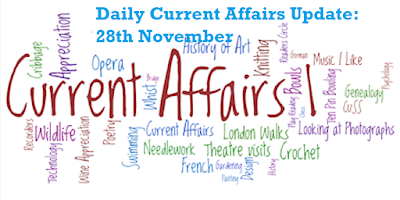 Dear Readers, We are sharing dilay current affairs update of 24th November 2018 to 27th November 2018 in both English and Hindi Languages. 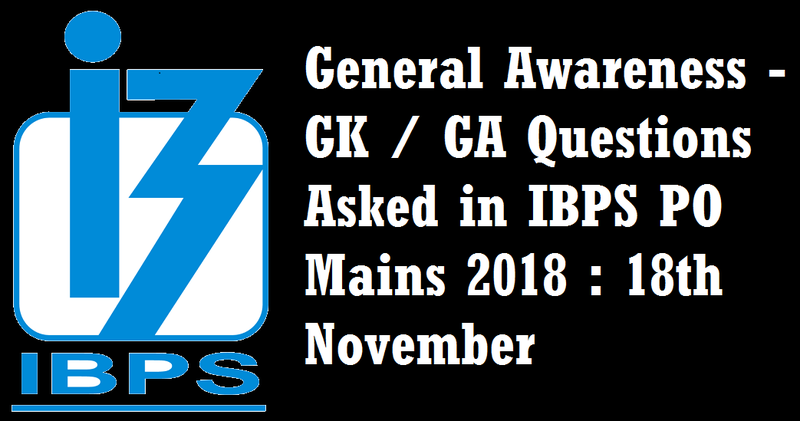 Dear Aspirants, First Stage of Online Test of IBPS Clerk 2018 is scheduled to be conducted from 08th December 2018. 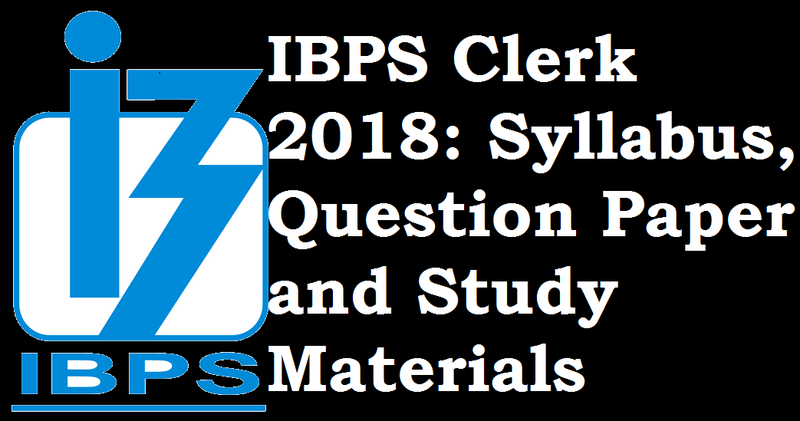 We are sharing IBPS Clerk 2018 Complete Exam Pattern, Syllabus, Question Paper, and Study Materials like Books PDF which will be helpful for your exams preparation. 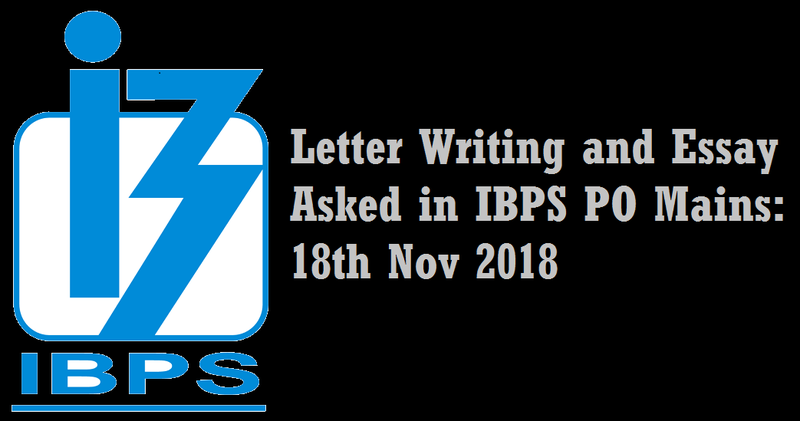 Dear Aspirants, IBPS is in all set to conduct its CWE Clerk Prelims 2018 Online Examination across India from 8th December 2018. 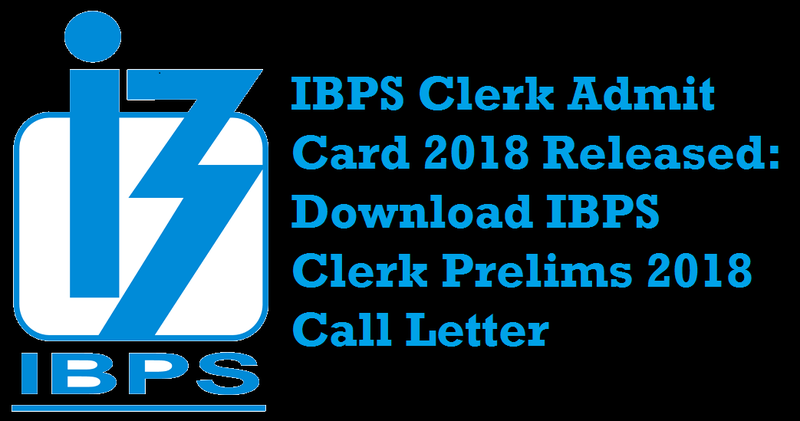 IBPS Clerk Prelims 2018 Admit Card has been released. 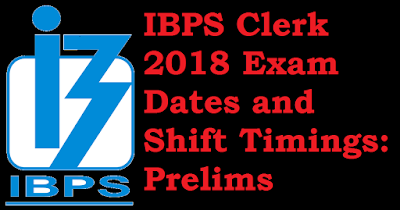 We are sharing IBPS Clerk Prelims 2018 Exam Dates and Shift Timings. 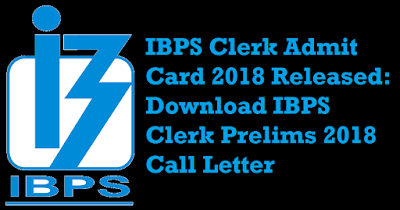 IBPS Clerk Prelims Admit Card 2018 has been released now. 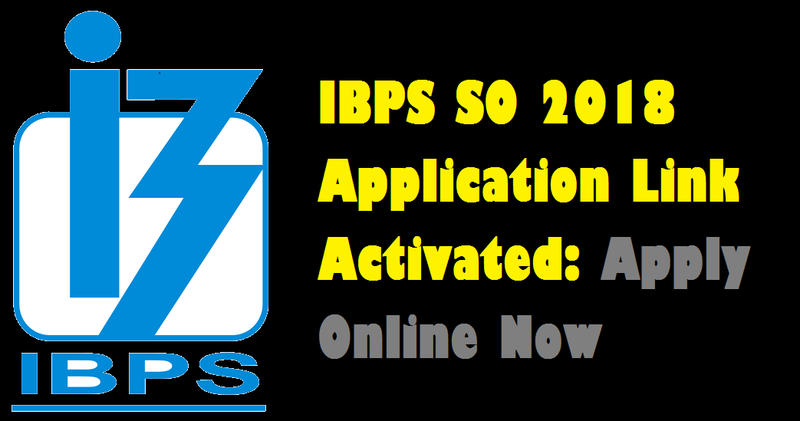 Registration No / Roll No and Password / DOB(DD-MM-YY) are required to download IBPS Clerk Admit Card. Delhi Police MTS Written Test admit card has been released now. Registration Number and Date of Birth(dd/MM/yyyy) are required to download Delhi Police MTS Admit Card. RRB has released RPF CBT 2018 Examination Schedule for Constables Recruitment. The call letter for each day of exam will be made available 10 days prior to the date. For example, the call letters for the exam on Jan 09 2019 will be available for download for Dec 30, 2018 and the call letter for Jan 10, 2019 from December 31, 2018 awards. 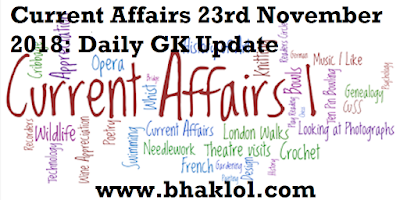 Dear Readers, We are sharing Daily Current Affairs Update of 23rd November 2018, Friday in both English and Hindi Languages. Dear Aspirants, JK Bank Associates and PO 2018 Online Examinations are to be conducted in upcoming few months. There are to 1200 posts for Bank Associates while 250 posts are for Bank PO. 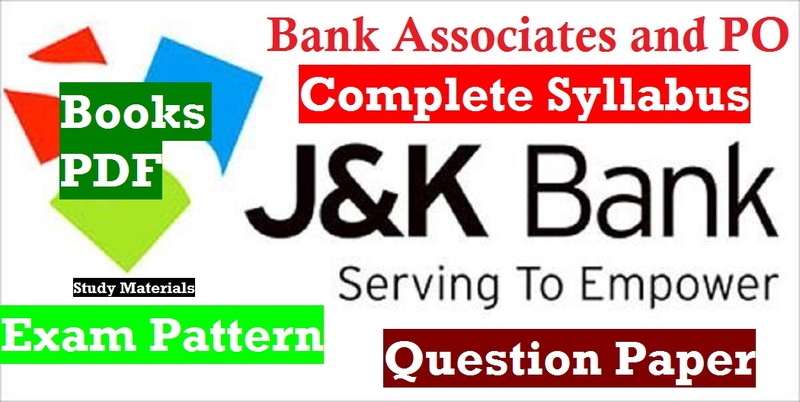 Two stages Online Test(Prelims+Mains) will be conducted for JK Bank PO Selection while single stage Online Test will be taken for Bank Associates Selection. SBI invites On-line application from Indian citizens for appointment in the following Specialist Cadre Officer posts on contract basis. Candidates are requested to apply On-line through the link given in Bank's website https://bank.sbi/careers or https://www.sbi.co.in/careers. 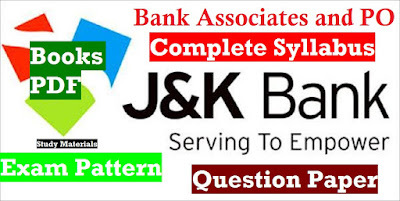 Applications are invited from permanent residents of J&K State, fulfilling the eligibility criteria for appointment of Banking Associate in J&K Bank. Candidates selected will be posted anywhere in India. CTET 2018 Admit Card has been released now. Registration Number and Date of Birth / Password are required to download CTET 2018 Admit Card. Written Test of CTET 2018 is held on 09th December 2018. Official Answer Key of UP TET 2018 Examination which was conducted on 18th November 2018 has been released now. 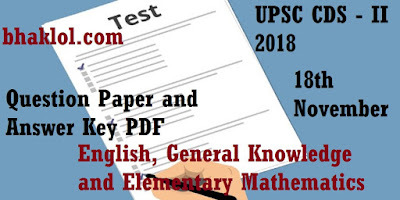 UP TET Answer Key PDF is available on Upbasiceduboard.gov.in and Upbasiceduboard.gov.in . Dear Aspirants, Today we are sharing a very important reference link where you will get collection of all NCERT Books PDF for free. Now you do not need to search books pdf seperately, therefore its very useful for SSC, UPSC and other state PSC Exams. 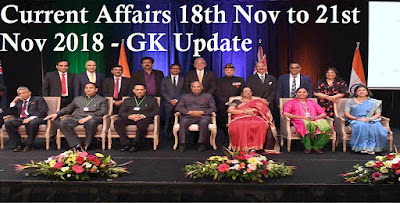 Dear Readers, We are sharing Current Affairs update of 18th November 2018 to 21st November 2018 in both English and Hindi Languages. Its important for ongoing RRB Group D 2018 Online Test, upcoming RPF SI and Constable Test and IBPS Clerk Mains 2018. RRB has released RPF CBT 2018 Examination Schedule for Sub Inspector Recruitment. The call letter for each day of exam will be made available 10 days prior to the date. For example, the call letters for the exam on Jan 09 2019 will be available for download for Dec 30, 2018 and the call letter for Jan 10, 2019 from December 31, 2018 awards. SSC has released Status Report as on 19.11.2018 of Results to be declared. As per report SSC Stenographers’ Grade ‘C’ & ‘D’ Examination2017 (Final Result) will be declared on 28th December 2018. Dear Students, BPSC 64th Prelims exam date and shift timing have been announced now. It will be held in December 2018. We are sharing BPSC 64th Combined Competitive (Preliminary) Examination, 2018 Date and Shift Timing. Uttar Pradesh Teachers Eligibility Test ( UP TET ) 2018 exam conducted on 18th November. 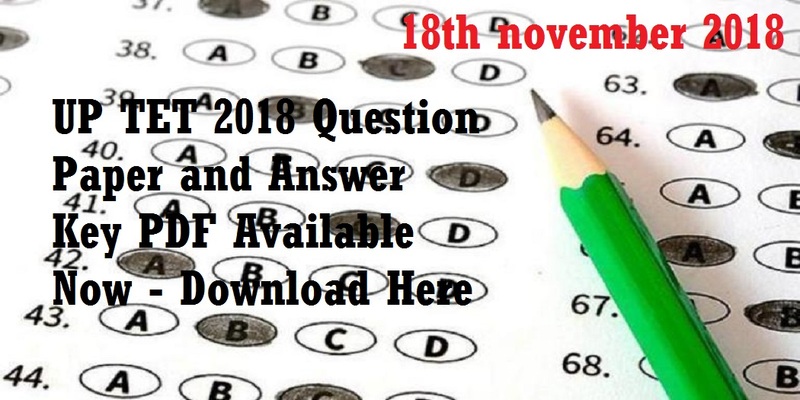 We are sharing UP TET 2018 Question Paper and Answer Key PDF of all sets(Set-A, Set-B, Set-C and Set-D). Uttar Pradesh Police Recruitment and Promotion Board ( UPPRPB ) has released 49568 Constables Recruitment 2018 Notification. Eligible and Intersted candidates may apply online from 19th November 2018, Monday on http://uppbpb.gov.in/ . Dear Students, UPSC CDS -1 2018 Offline examination conducted today on 18th November 2018, Sunday. 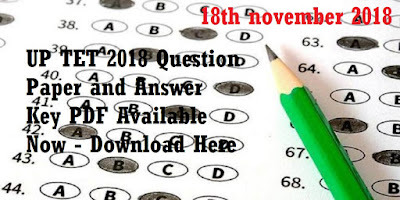 We are sharing Question Paper and Answer Key PDF of CDS-I written test of all subjects viz. English, General Knowledge and Elementary Mathematics. 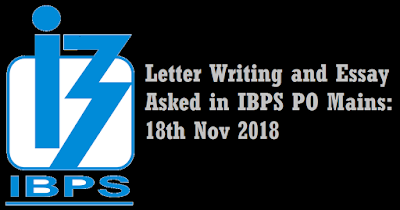 Dear Students, We are sharing Letter Writing and Essay questions asked in today's IBPS PO Mains 2018 online examination. Descriptive Test has total 25 marks with a time limit of 30 minutes. Candidates had to choose from given five options to write a letter and an essay. 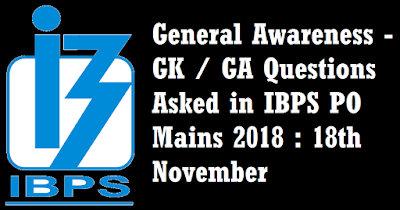 Dear Students, We are sharing General Awareness - GK / GA Questions Asked in today's IBPS PO Mains 2018 Online Examination(18th November). GA section was of moderate level. Dear Students, Exam Date of Railway RPF ( SI and Constable ) has been announced, its to be conducted from 19th December 2018. We are sharing ten Railway RPF ( SI and Constable ) Practice Set PDF in Hindi. Its completely solved paper. Download it, solve it and share it to others who are looking for Railway RPF ( SI and Constable ) Solved Practice Set PDF in Hindi. Dear Students, IBPS PO Mains 2018 Online Examination is held today on 18th November 2018, Sunday. There is only one shift paper. Reporting time for the exam was on 08am morning. Shift has been completed now, we are sharing the detailed exam analysis this exam. 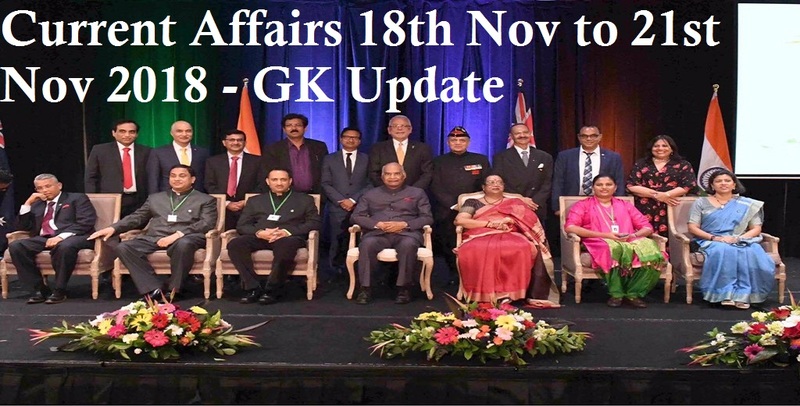 Dear Readers, We are sharing daily current affairs update of 16th November 2018, Friday and 17th November 2018, Saturday in both english and hindi language. Its important for Bank, SSC, PSC, Railway and Other upcoming exams. IBPS has released Provisional Allotment under Reserve List of CRP-RRBs-VI(Recruitment of Office Assistants and Officer Scale-I. 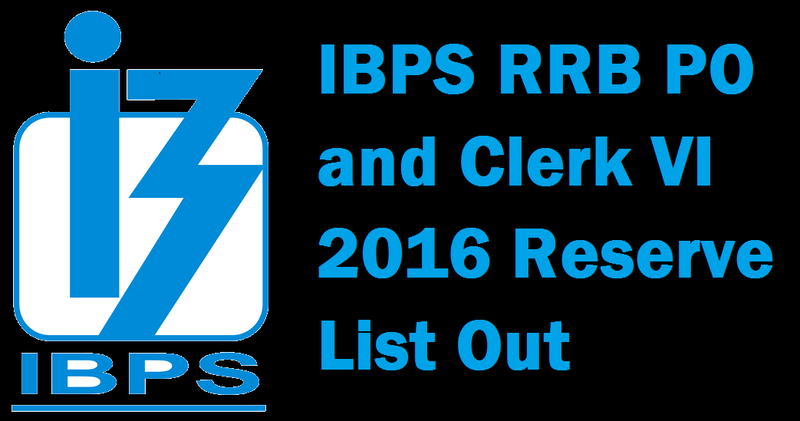 Registration No / Roll No and Password / DOB(DD-MM-YY) are required to check IBPS RRB PO and Clerk 2016 Reserve List Result. Dear Aspirants, RRB has activated the link to print your Application for RPF SI and Constable Exam 2018. Registration Number and Date of Birth are required to Print RPF SI and Constable Exam 2018 Application. 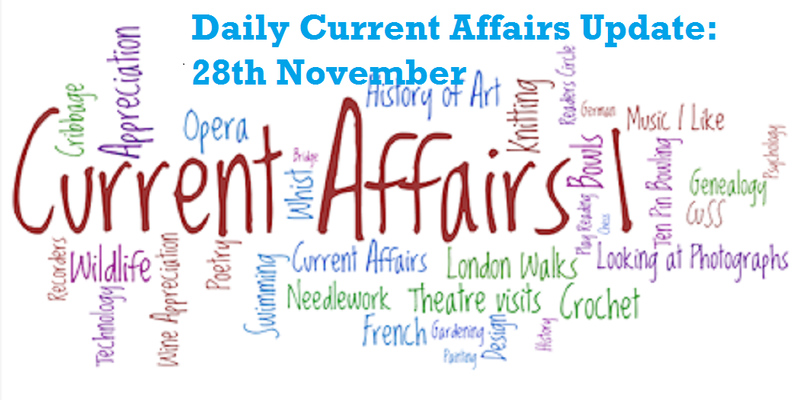 Dear Readers, We are sharing Today' Current Affairs Update (15th November 2018, Thursday) in both English and Hindi languages. 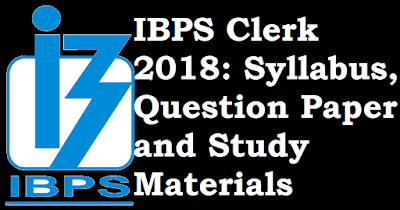 Its very useful for upcoming IBPS Clerk Mains and IBPS PO Mains 2018 Online Examinations. Online applications are invited from eligible candidates for filling up the following various category cadre posts under The Uttar Pradesh Civil Court Staff Centralized Recruitment 2018-19, in the U.P. State District Courts subordinate to the High Court of Judicature at Allahabad. 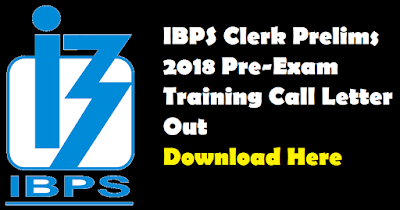 IBPS has released Pre-Examination Training Call Letter for the COMMON RECRUITMENT PROCESS FOR RECRUITMENT OF CLERKS IN PARTICIPATING ORGANISATIONS (CRP - CLERKS-VIII). Registration No and Password / DOB(DD-MM-YY) are required to download IBPS Clerk Prelim s 2018 Pre-Exam Training Admit Card. National Insurance Company Ltd. invites applications for recruitment of 150 (One Hundred Fifty) Accounts Apprentices from open market. A candidate must possess the minimum qualification of a Graduate in COMMERCE discipline from a recognized University with at least 60% marks in the degree examination (at least 55% for SC/ST) candidates. Dear Readers, We are sharing Bilingual (English and Hindi) Daily Current Affairs Updates of 14th November 2018, Wednesday. Today's events are very important for upcoming Bank, SSC and Railway Exams. Dear Students, We are sharing reference pdf link of Railway RPF(Railway Protection Force) Exam Previous Year Question Paper in both English and Hindi languages. It will be very useful to solve these papers to score good marks in upcoming RPF 2018 Exam which is scheduled to be conducted from 19th December 2018, Wednesday. Dear Readers, We are sharing today's Current Affairs Update(13th November 2018, Tuesday) in both the languages viz. English and Hindi. RRB ALP and Technicians 2018 Second stage CBT(Computer Based Test) which was scheduled to be conducted from 12th December is now postponed and shall now start from 24th December 2018. 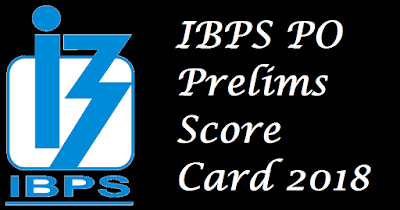 Dear Students, Score Card of IBPS PO Prelims 2018 Online Examination has been released today on 12th November 2018, Monday. 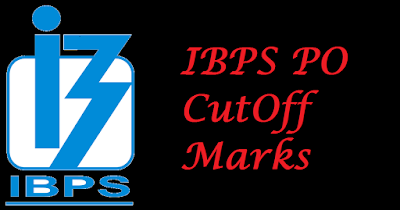 We are sharing IBPS PO Prelims 2018 CutOff Marks. 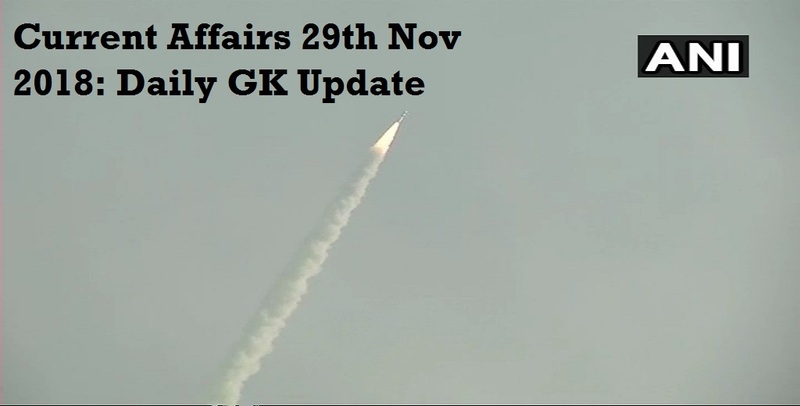 Dear Readers, We are sharing Current Affairs update of 06th november to 12th november 2018 in both english and hindi language. 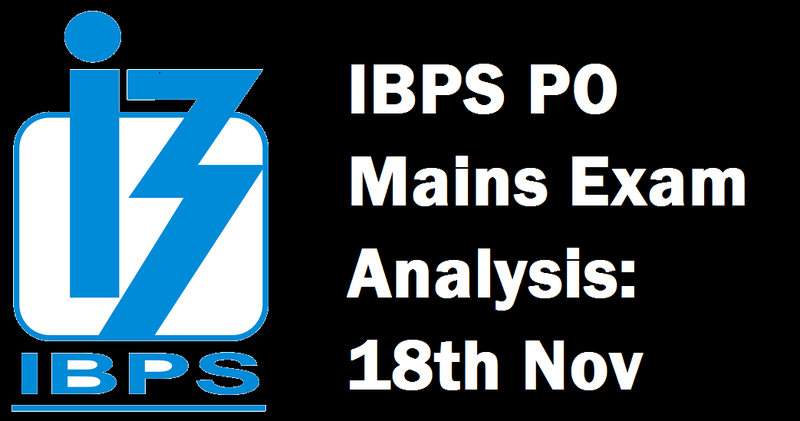 Its very useful for upcoming exams like IBPS Clerk Mains, IBPS PO Mains, RRB Group D , ALP and RPF Exams. IBPS has released Online Preliminary Exam Score Display for the recruitment of CRP-PO/MT-VIII-Recruitment of Probationary Officers/ Management Trainees. 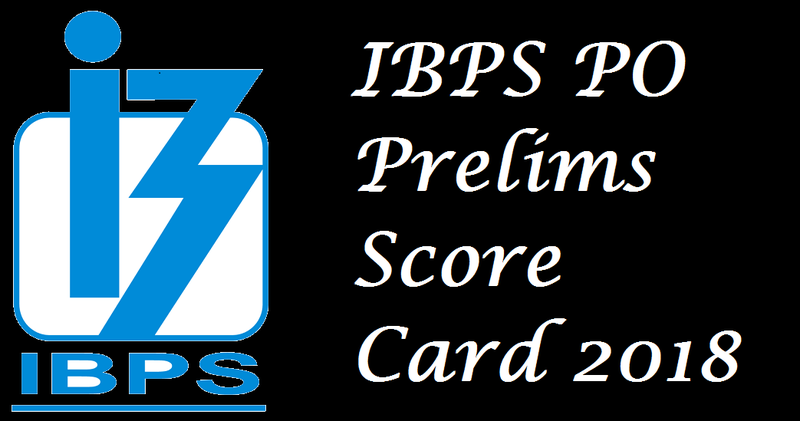 Registration No / Roll No and Password / DOB(DD-MM-YY) are required to download IBPS PO Prelims 2018 Score Card / Marks. Reserve Bank of India invites applications from eligible exservicemen candidates for 270 posts of “Security Guards” in various offices of the Bank. Selection for the post will be through a country-wide competitive Test (Online Test) followed by Physical Test. Dear Students, Many are asking that how old he/she is exactly. Therefore, We have decided to make a post with age calculator widget which will tell you How Old Exactly your are now. You need to enter the Date of Birth and the Date for which you want to know your age. NIACL has released CALL LETTER FOR REGIONAL LANGUAGE TEST for the RECRUITMENT OF ASSISTANTS. Registration No / Roll No and Password / DOB(DD-MM-YY) are required to download NIACL Assistant Regional Language Test Call Letter. Dear Students, Score Card / Marksheet of SBI PO Mains 2018 Online Examination has been released now. Roll Number or Registration Number and Date of Birth are required to download SBI PO Mains 2018 Score Card. Dear Students, IBPS SO 2018 Online Application has been activated now for the COMMON RECRUITMENT PROCESS FOR RECRUITMENT OF SPECIALIST OFFICERS IN PARTICIPATING ORGANISATIONS- (CRP SPL-VIII).